Designed exclusively for the new iPhone 3g, this sturdy armband will securely hold your iPhone in place while running, working out or on the go. Durable straps provide a snug fit around your arm, Apple iPhone 3G Armband made of hand washable material. 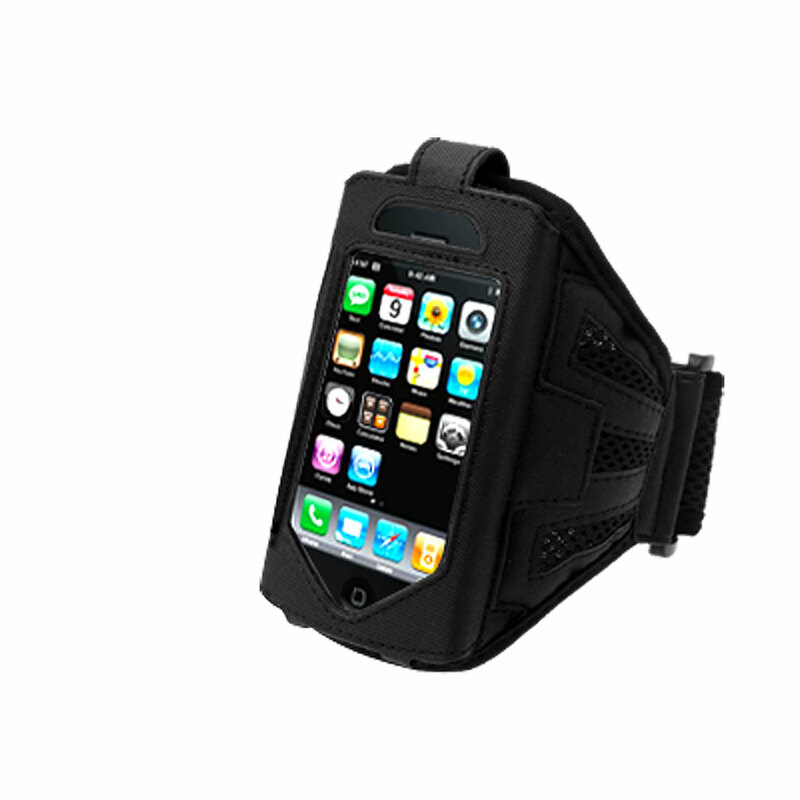 This durable, lightweight iPhone 2nd Generation Armband keeps your iPhone secure and protected. The Apple iPhone 3G Holder with built-in plastic screen protection, protect the phone against scratches, dirt, grease, and fingerprints. Unique design allows easy access to all functions without having to remove the iPhone 3G Sports Armband. Adjustable hook and loop fastener armband fits arms of most sizes. Accessory ONLY. iPhone 3G not included.